All downpipes and spouts collect leaves and debris over time. The slow build up of clutter in your guttering doesn’t seem like a big issue at first but can soon cause much bigger problems when ignored. It happens over a period of weeks and months and can put a big strain on the guttering system and its ability to work efficiently. Having your guttering and downpipes cleaned regularly makes sense, it keeps yours homes rain water system working the way it should and avoids expensive gutter replacement issues further down the line. As local gutter cleaners for the last decade you would not believe the things we have seen collected while cleaning out gutters – Affordable Gutter Cleaning in Newcastle. This painfully staking washing and scrubbing process is best handled by professionals. We are fully equipped for any scenario, even if the guttering is up high or you have to climb over a conservatory roof. We have a glowing reputation among the community and excellent ratings on Checkatrade for our work in Newcastle and the North East. The Polished Plastics team are fully trained, experienced and insured to not only carry out this type of work but also to do it to exceptionally high standards. 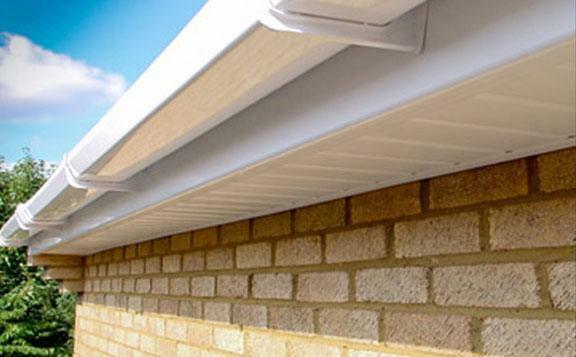 Once finished you will be left with sparkling and spotless guttering with all debris removed. 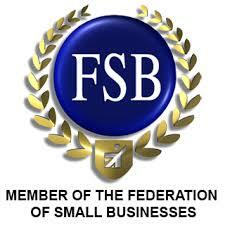 If you would like a free quotation without obligation the please call 0191 489 9999 today. ​Get a FREE quote today! If your tired of cleaning out gutters in your home or business, then pass it over to us. Fill out the short form and we’ll get back to within an hour. Get the Best Guttering Cleaning Prices & Sparkling Service! A gutter leak can happen at any time when bad weather is settling in. That's why we strive to help each and every customer as quickly as possible with any gutter clearing they may need. Protection for your home is our main priority, so don’t leave it too long before it becomes a major problem, for price lists call us on 0191 489 9999 and we ensure we will do everything we can to see you the same day. Fast response is crucial to minimising damage to your home. Commercial business and homes across Newcastle and the North East trust our clearing service because we continue to deliver outstanding results to each and every customer. We pride ourselves on being a local North East company who can provide for commercial or house gutter cleaning. Your down pipes will look immaculate after we have finished with them. Make sure to call 0191 489 9999 to speak to an expert today or receive a free no obligation quote. It’s essential that you never leave a roof or gutter leak because it can start as a minor issue, then lead to extensive damage on your home. To get your gutters cleaned first time to the highest possible standard, trust Polished Plastics. We offer a fast response at an affordable price. Your home’s rain gutters and clearance need to be handled by experts. We are the best local cleaning company in Newcastle and have knowledge and experience to deal with any sprout related issues. Q: How do you clean gutters safely? A: We use a two person crew on each job, one person to hold and secure the ladders and the other to carry out the work. Q: Do you clean out underground gutter drains? A: We can clean all surface drains, gullies, ACO drains, gully traps. We are fully equipped to unblock drains and clear blockages when needed. Q: Do you clean leaves out of gutters? A: Yes and sometimes much more too!! Grass, tennis balls, moss, cement, mud, small plants and kids toys all turn up on a weekly basis. Q: How does your company clean gutters? A: In general we clean gutters by hand from ladders or with rods, all the debris is then placed in buckets and removed. We operate SKY VAC gutter vacuums to reach places we cant with ladders. Q: Do you clean gutters with gutter guards? A: Yes but this service involves removing the gutter guards. We clean out and flush the gutter then re-fit the gutter guards. Unfortunately this does cost more than a standard gutter clearance. Q: What happens if you don t clean the gutters? A: If you don’t keep the gutters clear and they become blocked or faulty. They can cause serious water damage to your property, encouraging mould growth and damp ingress, the end result could potentially be very costly to repair. Q: How much do you charge to clean gutters? A: Although every property or building is different , as a general guide our prices start at £39.00 plus VAT. Q: How often should you get your gutters cleaned? A: We recommend to clean out your gutters at least every two years. In most cases our customers clean out the gutters on a yearly basis. Q: Do you clean the outside of the gutters? A: We clean and revive all types of guttering making them look brand new. All gutters after time gather dirt, algae and moss and this can be washed and cleaned away. Q: How do you clean clean high gutters? A: Our ladders reach to three-storey height and we can use our Sky Vac if needed to go higher than this. Small cameras allow us to inspect the gutters at higher heights. Q: How do you clean gutter above conservatory? A: We use ladders to go to each side of the conservatory then use rods to pull and push the debris to enable it to be reached by hand or we use Sky Vac gutter vacuum machines if needed. Q: Why gutter cleaning is important? A: Gutters are designed to channel rain water off your roof and down to your drainage system and if not clear of debris, this can stop the water getting to the drains properly. This leads to water overflowing the gutter drains which can then lead to the walls getting wet and damp. We have been a leading Newcastle gutter cleaning company for over 10 years. We offer affordable cleaning price lists and have highly skilled professionals who are committed to providing an outstanding service for each and every one of our customers. To visit our home page click here.